This is news! After D’Ussé VSOP comes D’Ussé XO. 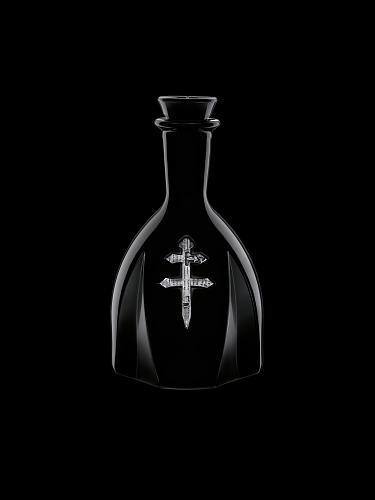 We could also almost call it D’Usse Black because the bottle is so dark. We think quite some people have been waiting to buy the XO edition of D’Ussé. 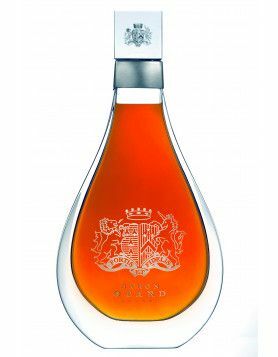 Chateau de Cognac (owned by Bacardi) now launches the older brother of D’Ussé VSOP. That was sort of expected because the brand named the first bottle ‘VSOP’. The next step is of course XO (Extra Old) where the youngest cognacs in the blend must be at least 6 years old. Cellar master Michel Casavecchia created an older version of D’Ussé cognac, a cognac that has been aged longer in the barrel compared to its younger brother VSOP. 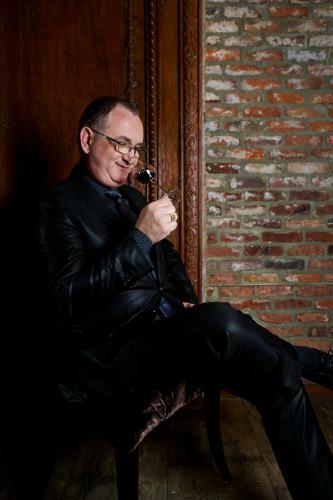 Read our interview we did with cellar master Michel Casavecchia, who crafts the D’Ussé cognacs. 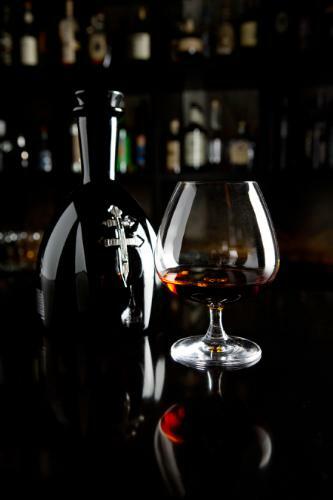 The cognac house describes the tasting notes as ripe blackberry, apricot, hints of dark chocolate and walnut. Of course the coganc comes in the now typical bottle that features the Cross of Lorraine. D’Ussé has been quite a success so far (at least in the US, we don’t know about UK). So it’s only logic that Bacardi pushes the Jay-Z driven Cognac towards the upper premium segment. More expensive than market leaders? The retail price of D’Ussé XO $230 for a 750ml bottle, sales of D’USSE XO will be kicked of in key cities across the country. Interesting, because that bottle is going in direct competition with the big Cognac brands like Hennessy and Rémy.. Now wait a minute! D’Ussé XO actually more expensive than a Hennessy XO. That’s a cool strategy to simply overprice the market leader. 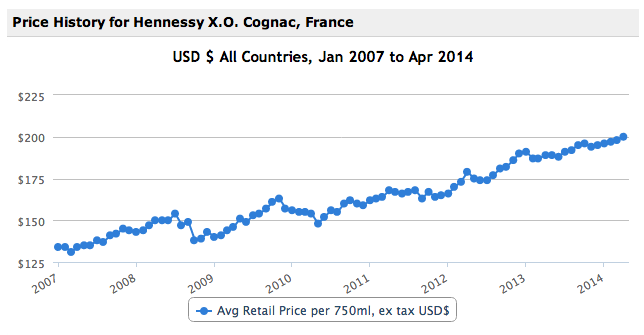 Look at Hennessy XO price development over the last years (ex tax). 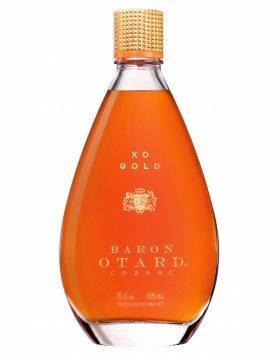 And let’s also look at price development of Otard XO (which is also part of the Chateau de Cognac production, owned by Bacardi). I think both these charts show are kind of interesting. 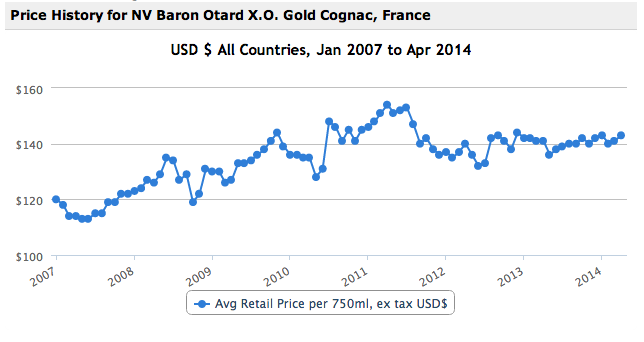 They show that Baron Otard struggled to hit a premium segment in the past – a situation that is about to change. And for D’Ussé, things are looking good. Well done Chateau de Cognac, well done Bacardi. Interesting! 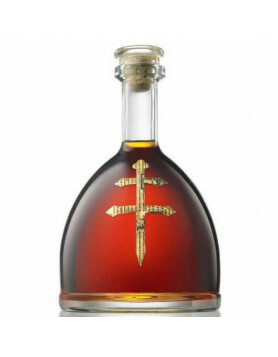 D’Ussé XO compared to Hennessy XO: Hennessy still wins? Who else has tasted D’Ussé XO and would like to comment?